Most consumers know that you shouldn't take certain medication if you are taking certain other medication. Their active ingredients don't work well together and create health risks. There is probably less awareness that there are foods you shouldn't eat if you are taking certain medication. The reactions can be just as harmful. For example, eating kale, spinach, and tomatoes can be part of a healthy diet, but not if you are taking certain blood thinners. If you are, these foods can increase the risk of an irregular heart beat and even a heart attack. AARP and Skyhorse Publishing have just released a book to help consumers taking prescription drugs know what foods they should avoid. The guide, "Don't Eat This if You're Taking That," was written by the husband and wife team of John and Madelyn Fernstrom. You may have seen Madelyn dispensing nutrition advice on NBC's Today Show. "Most people are surprised to learn that even healthy foods can interfere with the actions of many medicines," Madelyn Fernstrom said. "Small changes in what you eat can make a big difference in making sure your medications are working the way your doctor intended." 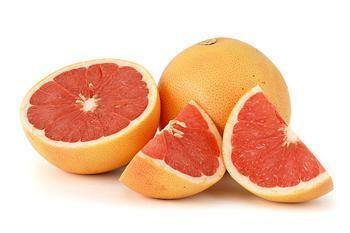 Many older consumers are surprised to learn that they should stay away from grapefruit when taking cholesterol medicine. Or they should avoid red wine, hard cheese, and chocolate when taking certain antidepressants. And some herbal supplements, it turns out, can affect blood pressure. "This book will help anybody tackle the complexities of food and medicine interaction," said Jodi Lipson, Director of AARP Books. "Don't Take This If You're Eating That is especially useful for people taking more than one medication." According to the Food and Drug Administration (FDA), the wrong combination of food and drugs can prevent the drug from working the way it was intended. Sometimes that means it doesn't work at all, sometimes it works in ways that are bad for you. Certain drugs can also change the way your body processes food. It can also cause a side effect from the drug to get worse. Sometimes, anything you eat can affect how a medicine works. That's why some prescriptions come with directions to take with food or to take on an empty stomach.